we have numerous threads re pre-mixes and E85 on the board and we are all riding a learning curve. 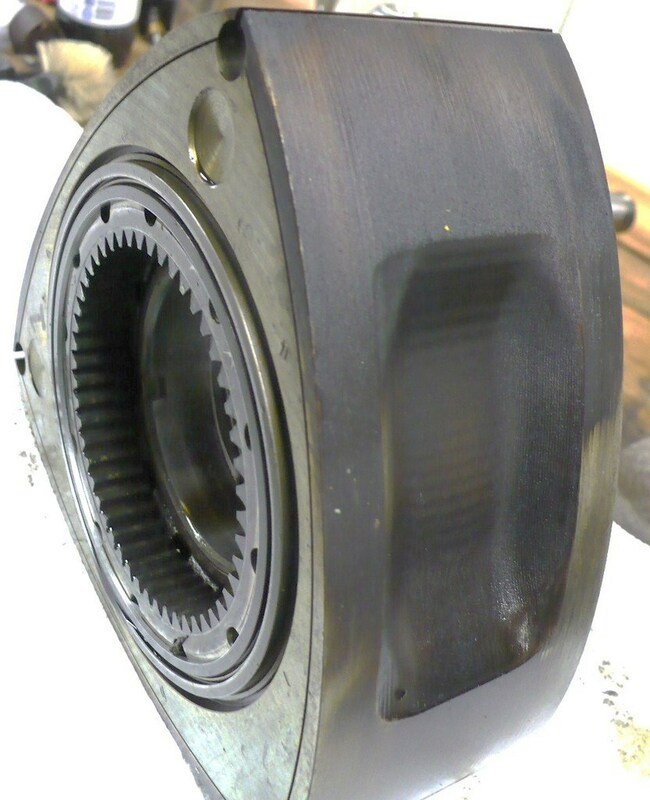 various iterations of caster bean oil have been used and it does work well as far as anti-wear protection. it also gums up the internals. this might not be an issue for go-karts etc but it is for rotaries. i have seen it first hand and it is not pretty. Klotz Benol is 100% bean oil. Klotz Super Techniplate is 20% bean oil.... some have posted they see gummy residue even w the lower bean oil content w S T.
for those that want to sidestep the gummed up internals i do have an answer and that is why i present this as a free standing thread. zero vegetable oil content, no beans, no carrots no spuds. the product is currently hiding on their website though they have been making it for 20 years. all synthetic and as most redline products very highly engineered. i spoke w Dave in their tech dept today and he assured me their 2 Cycle Alcohol Oil product will stay in suspension in ethanol indefinitely. all synthetic stock. surprise: it is more expensive. eventual cost of sticky sideseals/apexseals etc... more than that. i think there is an additional bonus which appears from the tech paper which relates to Redline being really really good at anti wear. perhaps a speculative opinion on my part. now what do i do w my Benol? maybe use it as super glue. ^ Do you have any experience with the redline oil or did the redline salesmen just say it was the right stuff to use and you should buy it? a number of years ago as i rose into the 500+ power level (gasoline and meth/AI) i decided to upgrade my premix. after looking at most of my options i picked Redline 2 cycle and ran it for a few years. after four years i decided to take a look inside my motor. it was running perfectly, producing the highest vacuum since the build. so why not take it apart to measure everything? pretty close to being as clean as when built... granted, the meth helped in the process but my clearances and the internal wear was also like when built. apex seal to groove clearance unchanged, sideseals at .003 from .002, stationary gear teeth happy. when i switched to E85 i did not see that Redline had an alcohol soluble 2 cycle and went w what it seemed everybody was using.... Benol. i do not like what i am seeing w the casterbean component. i do like the overall antiwear result from my previous experience w Redline 2 cycle and since they have a ethanol soluble product i believe it is a step forward in E85 premix options. there are probably other synthetic non bean options but the word "Alcohol" on Redline's 2 cycle Alcohol oil product and the fact it is 100% no-bean closes the deal for me. Last edited by Howard Coleman CPR; 11-07-14 at 06:10 AM. What does the word alcohol have to do with the product working well? I just think before you go around the entire forum talking about how great the redline oil is, you should at least use it first in an engine that runs. Just 2 days ago you made a bunch of posts about how great the techniplate oil is and last week it was benol. Yet in this time you have not even used the 2 first products and show a pic of a rotor that was running gasoline and methanol. Not one that was using ethanol and benol. It is two totally different subjects and they are not interrelated at all. It is my opinion that all of this talk is a bit of a waste of time when your car drives like .75 miles a year. The buildup "issue" is something that will take thousands of miles before it becomes a problem, if it is. I think people are premixing too much oil in their motors even though they are injecting more oil due to the fact you need about 30% more fuel to make the same power. Oh and the fact that you tell people to ditch their OMP when it is the one device that injects oil right at the apex seal. If you kept the OMP you would not need to use so much benol and would not have the possible buildup that no one has even posted pics of. "What does the word alcohol have to do with the product working well?" Redline offers two 2 cycle oil products. unlike most 2 cycle oils that do not hold suspension in alcohol, Redline 2 Cycle Alcohol Oil does not separate from alcohol. unlike Benol and Super Techniplate, Redline 2 Cycle Alcohol Oil has no castor component... all synthetic. i have used Benol for a year and i have taken both my motor and a customer motor apart and i have seen clearly the effect as have others who have posted. my customer motor was running around 575 and he was using, probably, more Benol than i would have used. his primary ports were especially coated to the point you could see the direction of the airflow in the black gum. the faces of his rotors had a fair amount of black gum. i initially used an exacto knife to remove much of it. carb cleaner did not dissolve it, penetrating oil seemed to. my motor had sticky rotor faces and slightly tacky to the touch ports. as to the external oil pump... i am not against it per se. i AM against it if you are using crankcase oil. the RA 2 cycle tank is a neat idea. i would still premix. premix has worked for me since 04. Has anyone actually seen or experienced stuck seals with the Benol or Super Techniplate? Obviously the residue issue is being seen, so the question I have is it truly caused by the castor oil or is it due to folks are using too much pre-mix. As RenesisFD eluded to, is this being caused by the extra 30% of pre-mix that's going into the chambers with E85? I was premixing 1oz per gallon unless I hit the track. THen I bumped it up to 1.5oz per gal of BENOL. When we pulled my engine apart.. the sticky film was thick enough for both ABel and myself to raise a concerned eyebrow. We cleaned it off and Abel looked at me and said.. "what brand of Premix are you using?" I told him I was using the benol non super techniplate and he said "you need to switch to the Redline. It's a bit more expensive but it won' leave this crap." I don't think the Benol will ever cause seals to stick unless your ratio is all ***** like 2+ Oz per gal, and you don't rev out your engine (baby it everywhere). I'm done with Benol as i've experienced the sticky gum first hand in a practically brand new spotless engine with less than 2K miles on it. I'm swapping to Redline.... why? Simply because It's a good product and Abel Ibarra himself advised me to. HOWARD I AM GOING TO KEEP premixing 1oz per gallon WITH REDLINE ALSO.. OR YOU GUYS RECOMMEND SOMETHING ELSE WITH REDLINE? ^ Howard has no idea he has never heard of this product up until last week and before that he thought the best stuff to use the the super techniplate for like 2 days and before that it was benol. Why people listen to him I have no idea. People have been using Benol since they have first started using E85, is the "residue" really such a bad thing? Are there any documented failures? Pardon my ignorance but isnt a coating of oil somewhat of a good thing? Im all for something "better", but is this an answer to a question that no one was asking? The cleanest burning E85/methanol oil I have found is Motul Micro 2T. I have a jar of E85 mixed with Micro 2T sitting in the corner of my bench. It hasn't been touched since I shook it up 5 months ago and it's still perfectly mixed. I have done the same test with gasoline too - same result. I have used 1/2 oz of Benol for street and 1 oz for dyno/track. after a year of usage i found my ports were covered w a light coating of a sticky material. ditto my rotor faces. all the seals moved freely. i do not believe Benol at the above mix will stick seals. i do not know exactly what the mix ratio (probably over 1 oz) was in my customer's motor but you would not want to have the internal condition he had. i would rather have clean port walls so it is Redline 2 Cycle Alcohol Oil for me..
this is not complicated as far as options. the caster bean component stays in solution w ethanol. it lubricates well. it also coats internals. not a deal breaker and probably not an engine breaker. most other 2 cycle oils, after time, separate from ethanol. not good. Redline 2 Cycle Alcohol Oil contains no caster component, lubricates, does not separate and was designed for alcohol. it costs $2 more to fill up an FD at 1/2 oz per gallon. i will spend the extra $2 and maintain clean engine internals. so why is Redline more expensive? there may be other non caster synthetics that work. i have had good results w Redline 2 Cycle Racing oil when i was on gas and am really happy they offer an E85 pre-mix solution. My wife can't stand the smell of of the Benol! and that's important to me. Also, how does it do i cold weather like down to mid 30's? "Does the Redline stink like the BeNol?" that's funny as the smell is what i will miss about switching.. many of us love the castrol smell. no, the smell comes from the caster bean and Redline is bean free. i don't know re cold temps... you can always call Redline Tech and ask. ive opened engines after running benol klotz for years and have no complaint . i only can say everything is well lubricated . Spark Plugs and effects of Benol vs. Red Line. What about plugs and street cars? Do you see build up on your plugs? I do, and it looks just like the pic Howard posted of the rotor. I run E85, Benol 1OZ/GAL, 850cc/1600cc, CompTurbo 65mm 16psi and .82 Lambda WOT. By the way I was very happy with Yamaha Watercraft 2-cycle on 93 pump. Clean/no smell, Plugs looked good. but I have no idea on protection/lube properties. Regardless, I've been on Benol for 2 years now. But in the winter its like pouring honey in the tank, too thick. I think it may take too long to mix in. finally, it gets through the return system for a while. Aside from that Plugs must be changed every 6 mos or so. That might sound ok , but that's like 500 miles for me. i noticed some sticky residue in the intake ports. engine is still together and running. How many miles are driven in those years? With or Without OMP? and how much are you Premixing? I was always told since day one that the benol did not mix below a certain temp, that it remained suspended. How often do you drive in the winter and how cold does it get? Houston Tx winters; and 5 miles to work (then work for four days) then 5 miles back home. total 10 miles per week. I've used both Redline and Klotz supertechniplate in my drag race only all motor Rx2. I noticed the Redline oil would leave deposits in my fuel tank. Orange clay like bits. So I switched to Klotz supertechniplate for the last 4 years about 1.2oz per gallon without any issues. My motor still makes more than 120psi front and rear with ceramic seals. I will be tearing motor down this winter for inspection and will post pics of what my internals look like. Well Maybe the question should be whether or not the residue is hurting anything. I don't like the Idea of this crap coating my engine internals..or ports (because there was a layer on my UIM Secondary ports right where fuel is sprayed). But if the stuff is harmless.. then it's harmless. My personal car im running 1.5 oz per gal. From 1 . i like it more i make sure i can smell it . also about the build up on plugs i hvnt seen any yet even runing pump gas 93 octane . MY fuel tank is always clean no residue of oil at all . i just checked my tank 5 minutes ago , clean clean . im about to swap my plugs since about 5 months ago . About the Weather temps i cant give an opinion . Im in Miami Fl and the weather is pretty good here all year. Been running 12 to 15 oz per 5 gallons of Benol for the more then 3 years now. My fuel pump did stop working a few months ago. Found this sticky stuff inside the pump. Cleaned with carb cleaner and now works. Over the last 3 years I've also run 25% meth in the tank with a few OZ. of nitromethane. My motors dont go unopened for longer then 9 months but they do see allot of idle and wide open passes. 150+ 1/4 mile passes. 600 to 800hp. Housings and plates do have a nice film of oil on them. Spark plugs never show signs of oil fouling. Using RA classic seals the the housing show NO signs of wear. They dont come out looking new but look very usable. Did see some white stuff in the fuel jugs at times. So started using Lucas E85 fuel conditioner. Seems to clear things up. Believe the white stuff is from the premix and condensation from the E85. The conditioner cleared that up. Not sure if the conditioner will help with the sticky stuff but time will tell. I'd rather see this nice film of oil in my motors and have the housing last me awhile then go down on premix. Maybe 1 oz per gallon is good enough but will not decrease the premix. Oil builds compression. Also running meth injection. and allot of it. Not premixing the meth injection so this may help with the oil build up on the inside of the motors. Good info^ !! Also, the oil coating you speak of.... it's a film of oil or an actual "Tacky Dark gummy" thin layer coating on the inside of your engine? I've seen the white stuff as well.. after letting the car sit for a week or so without start up i'll see the stuff on the inside of the oil filler cap. I'm not too worried about it though.